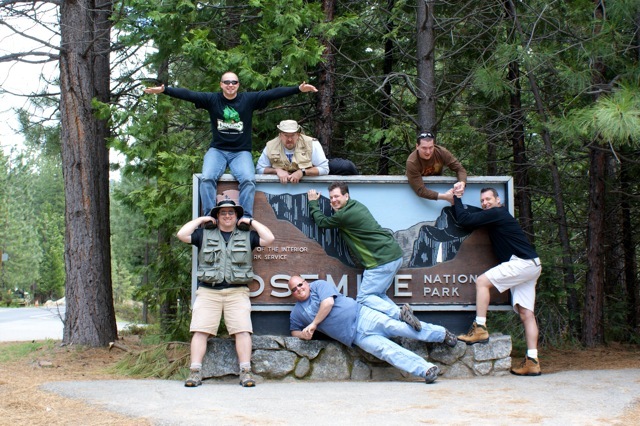 The Yosemite Summit 2010 Gang! This year Yosemite Summit came for me in the midst of a very busy schedule, which is why I haven’t been able to do a report for over a month. 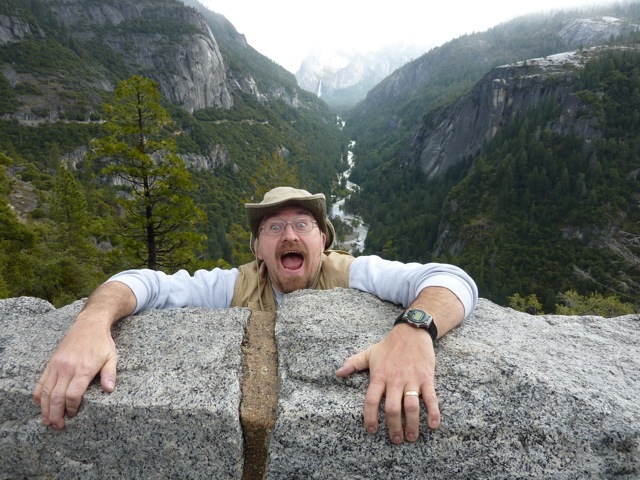 In fact, had it not been for Yosemite Summit, I would not have ever slowed down! Which is exactly why Yosemite Summit exists, as I wrote about in Built in Pit Stop. Before Yosemite Summit, there were seasons in my life when I didn’t ever slow down! 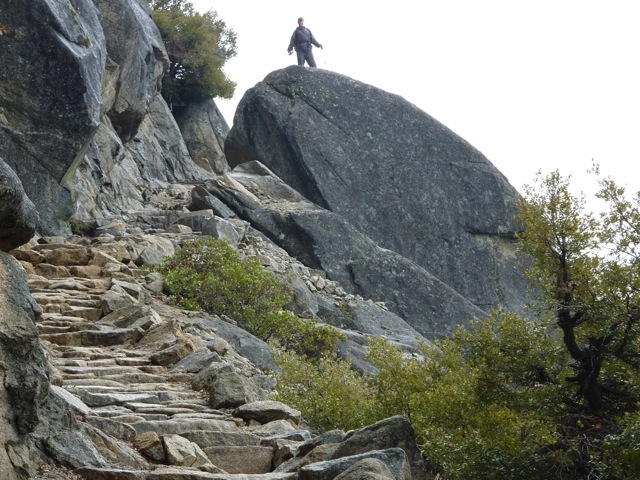 Yosemite Summit has taught me to slow down, in fact, it has taught me the power of stopping. Actually, Yosemite Summit played a major role in my moving my family to Colorado so I could live a state where the pace is slower and where stopping is easier… though I am still learning to apply it on a monthly basis. If you are a kidmin professional in Colorado, ask me about my Colorado Hiking Club, The Fellowship of the King! 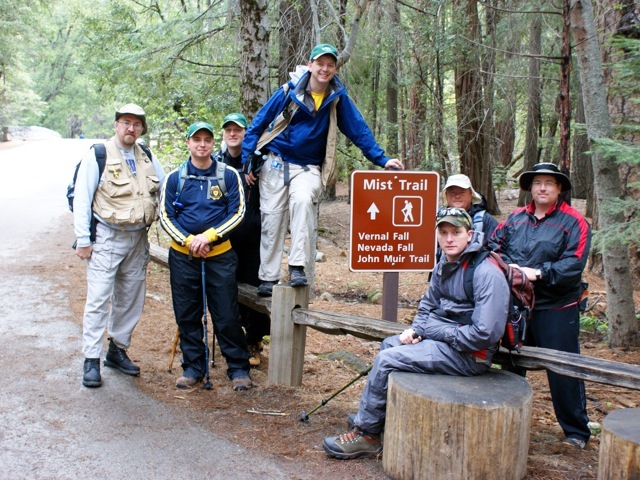 This year’s Summit brought together seven guys from around the country. Two returned from last year, which is always encouraging. We didn’t fill the event, and I’m sure that the economy had an impact as this isn’t an inexpensive endeavor. So right up front I want those reading this who would have liked to come, that I have asked my board of directors to allow Kidology to subsidize this retreat in 2011 at a loss so that it can be more affordable. That’s right – I’m willing to lose money so that this ministry to children’s pastors can be more accessible to the men who need this retreat. So when registration opens in August, you will see a new lower cost for registration. The cost to Kidology is the same – but the cost to attend will be lower! Yup, we had our first official meal at the Iron Door Saloon! 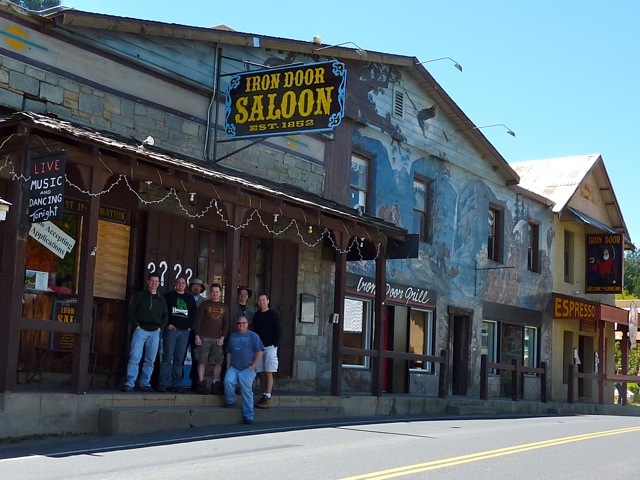 Every year I learn from the previous years, and this year I had us start out earlier on Sunday so we could have lunch at the historic Iron Door Saloon – a very cool restaurant. This 102 year old Saloon has a lot of fun history and a ceiling covered in one dollar bills! The secret to getting one up there, we learned, was wrapping a bill around a quarter and a thumb tack and throwing really hard. We proved terrible at it! The advantage to our early start was that we were able to get on to Yosemite early – only to be greeted by rain and at the usual “first stop” glimpse of Half Dome, it wasn’t even visible! 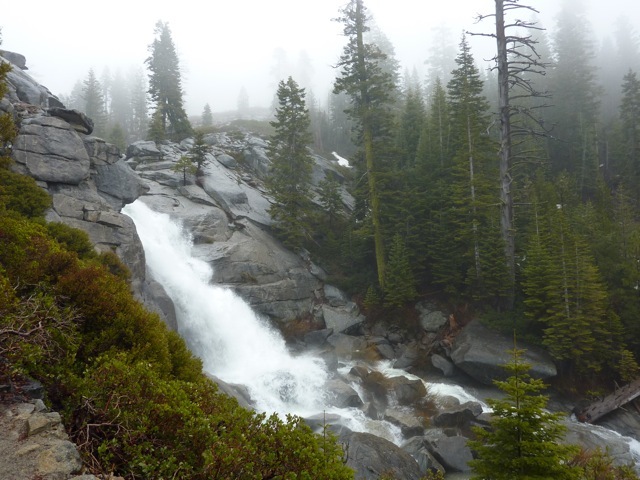 Because of the rain, we decided to cancel our planned hike to Inspiration Point, and just do a tour of the Valley from the inside of our van, and just hope for some dryness the next day. I hide my acute disappointment from the guys reminding myself that planning a hike on Sunday was an “extra” – we’d never hiked on Sunday the previous two years, so we weren’t really losing anything, though I had really hoped to this year, and we had worked so hard to get here early. The “planner” in me was so frustrated, but I just kept praying and asking God to help me release trying to control this event, and let Him handle the details. After touring the Valley (something we usually don’t get to do on Sunday, so that was nice) we continued on to our goal of Tunnel View on the way to the lodge and met with another obstacle! Due to an accident, the Tunnel was closed “until further notice.” This meant the only route to our lodge was cut off! We had nothing to do, but… hike up the trail to Inspiration Point since the trail head just happens to be at Tunnel View. Since the rain was spotty, and we were stuck, we figured we had nothing better to do, and sitting in the van wasn’t what any one wanted to do, so a hiking we went! Due to unseasonably cold weather and snow, this was the first Summit where Glacier Point Road was closed. That meant no upper Yosemite hikes – a bummer, but it also meant some new trails we’ve not tackled before, and I was excited about that. 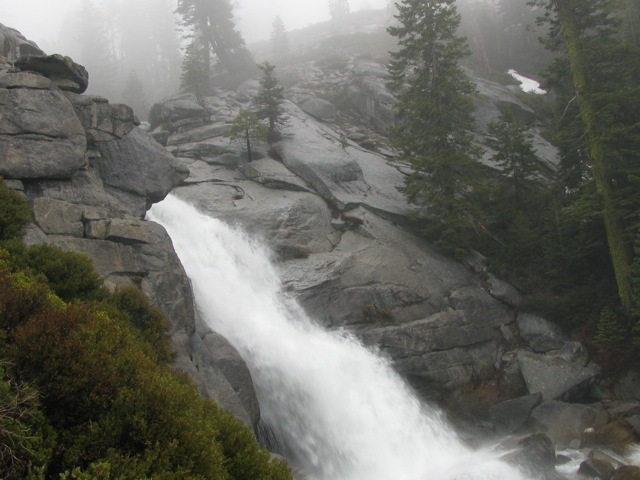 But we started out with the classic favorite of Yosemite, the Mist Trail. However, if you know Yosemite, you know “Mist” is an understatement! This is a hefty hike, but well worth it! But don’t worry wives, we never do anything dangerous or risky! This next picture has a funny story to it. From the top, I thought it was a huge solid boulder. I went out on it, sat down, and planned to do my devotional reading. Due to the view, I asked fellow Summiteer Brent to take my picture, which he did. And then he said, “I’m not leaving until you get off that rock.” I honestly thought to myself, ‘What’s his problem? It’s just a rock, so what if its near the water? 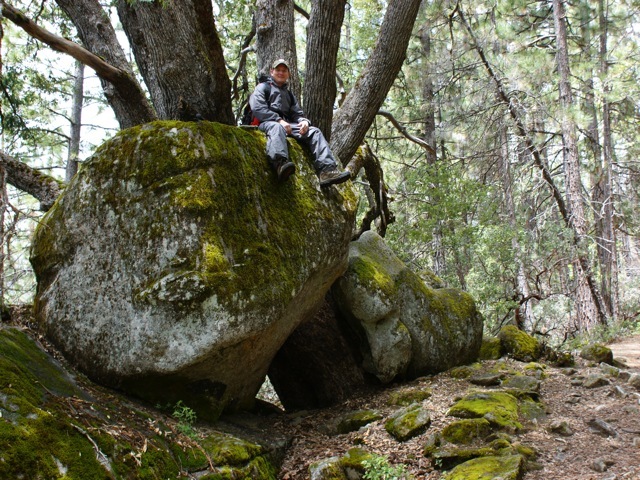 Now I can’t read here.” But got off the rock for his (wimpy) peace of mind. It wasn’t until I was going through his photos later and saw this and asked him, “Was this when you said you wouldn’t leave until I got off that rock?” Funny thing, perspective! Me Standing on Diving Board? 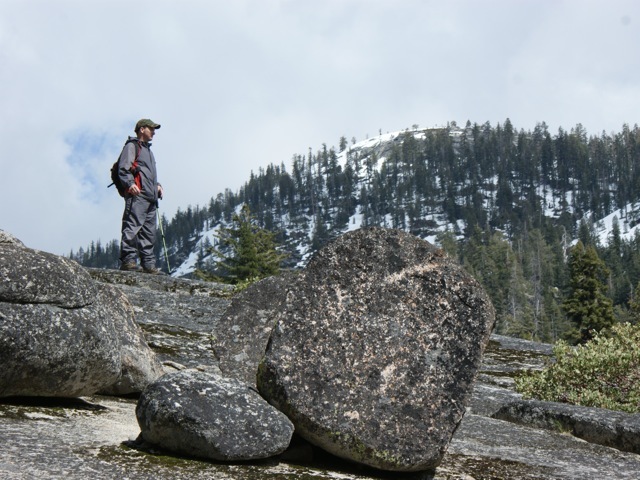 But now I am faced yet again with the challenge of “reporting” on Yosemite Summit? How do I describe this event to those who were not there? How can I give you a taste through words or pictures of something you need to experience to truly understand? 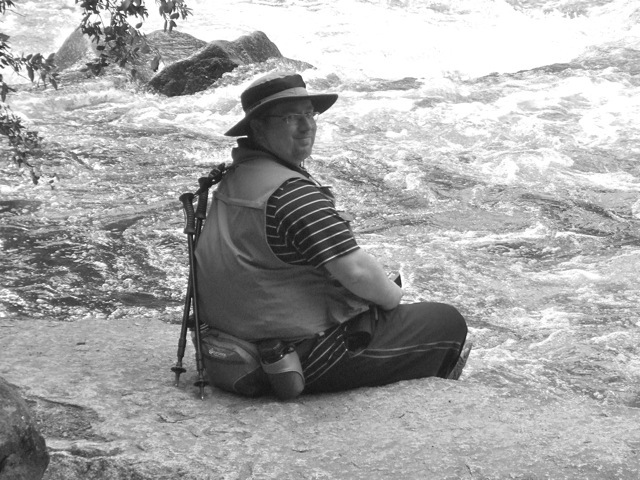 How does one describe sitting and relaxing by a river – that feeling of all your worries, all your responsibilities, all your to-do and must-have-dones just flowing down stream? One of my favorite moments of Yosemite Summit is on Saturday evening when I say to all the guys “Your Fired.” I get to be Donald Trump for a moment and release them from their ministry. I give them permission for the next several days to no longer be a pastor. They are invited to just be a child of God. A husband. A dad. And nothing more. 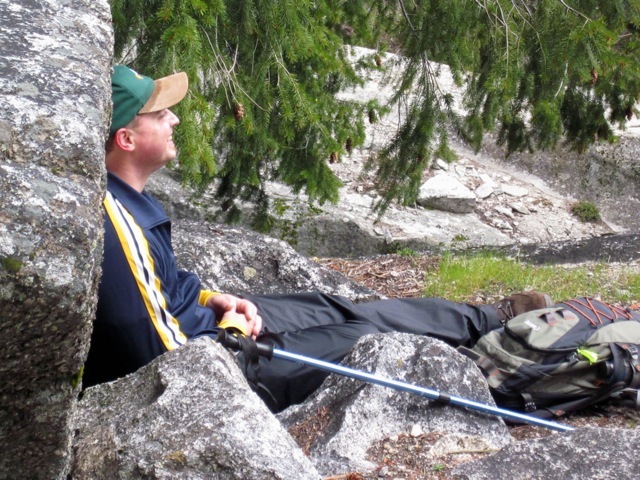 You might be able to imagine what it’s like to not DO your job for a few days… but at Yosemite Summit, you are challenged to not even think about it – to not talk about it – to not even pray about. To completely release it as though you are no longer a children’s pastor. because as far as God is concerned, you aren’t for those days. He just wants YOU. The squirrels are nuts in the public eating areas! We had fun feeding them. You might remember the video from my sabbatical of them climbing up on me as I feed them! These little guys are fearless! I was having fun getting pictures of the squirrels with the other guys… but I made a tragic mistake in doing so! I left my sole cookie unattended! 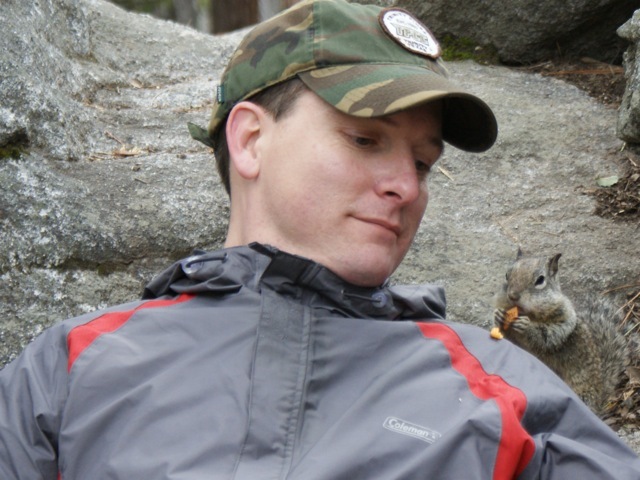 We pack light for these hikes, so I packed only ONE cookie for the entire day, and I am still holding a grudge against the squirrel that grabbed my ENTIRE GIANT COOKIE and ran off with it! 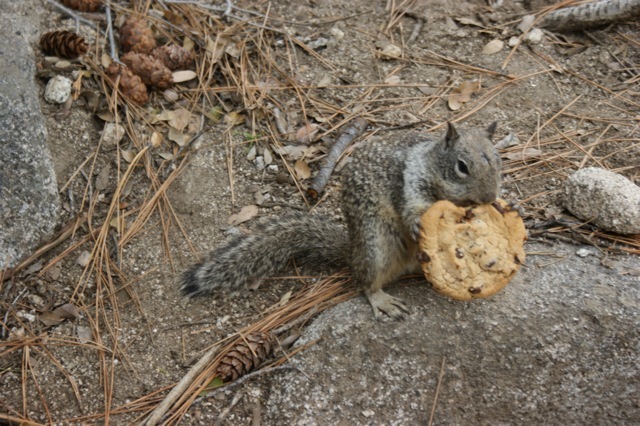 The EVIL Squirrel that STOLE my Cookie! But the hike must go on! 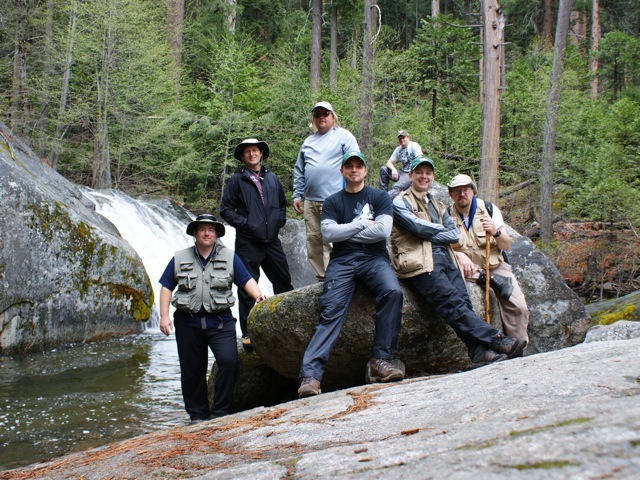 After the Mist Trail, we still had a forecast of a huge storm heading into Yosemite, so on the next day, we did something new, I gave each of the guys a “Free Day” in the Valley. Some did Mirror Lake (especially those who were new to Yosemite) and I attempted Upper Yosemite Falls, with proved to be the most difficult hike I’ve ever done. Due to the difficulty and stopping so often for photography, I didn’t make it to the top, but I made it to the last spot you can see the falls – after that hikers told me there was little to see for another hour and I knew I wouldn’t make it there, and back down by our meeting time, so I chose a slow descent so I could enjoy it. 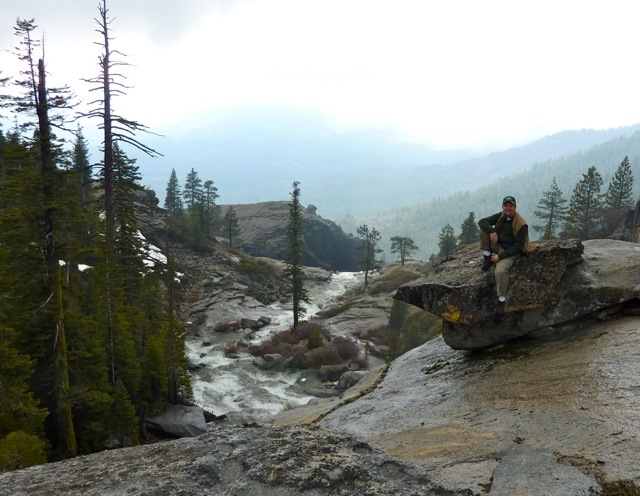 Pat and Travis, however, made it not only to Upper Yosemite Falls, but beyond to Yosemite Point! So I promised here in the report to declare them the Highest and Fastest Yosemite Summit Hikers in Yosemite Summit History! That is a climb of 2625 feet in one day! Pretty amazing! Everyone seemed to enjoy the freedom of the second day, so I think we will definitely do that again. Last year, we saw a bear, but it wasn’t nearly as exciting, since it was digging through the garbage at Glacier Point, but hey, a bear’s a bear, right? Let’s not get picky! So this year, I started out praying that again I’d get to see a bear, and I think God just decided to bless my socks off and get it out of the way right away with not one, but TWO! 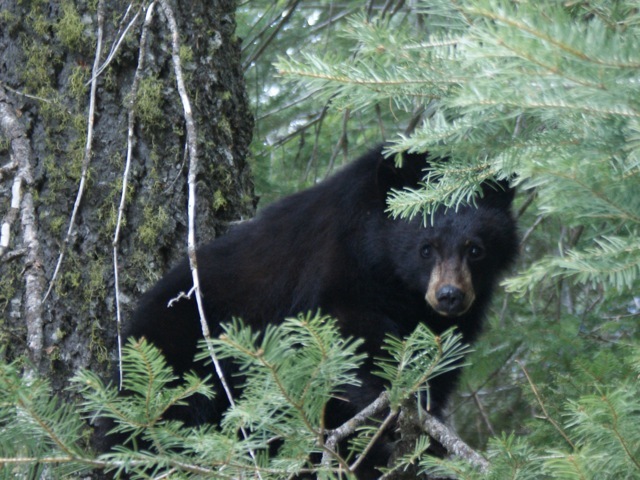 In fact, later, we’d hear of bear sightings and just go, “yeah, yeah,” and drive on by! But before that, I would chase into the woods after them to get picks! 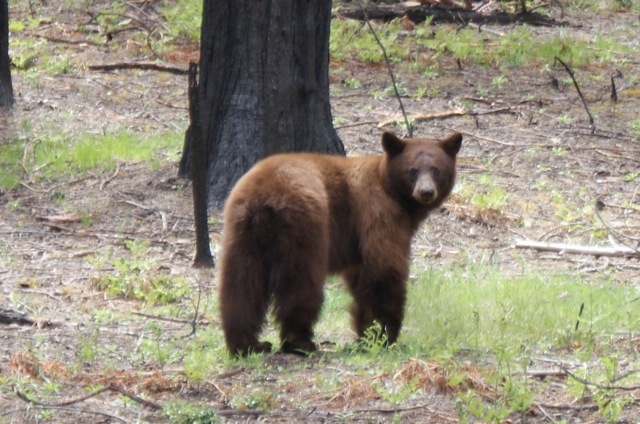 The one above was our first bear (I call him brown, but ALL bears in Yosemite are black bears… yeah, the dangerous type!) The second one, everyone was photographing and you couldn’t get a good shot, so I just decided to be patient. Eventually, he ran off into the woods and I followed. Yeah, I know. He jumped up into a tree. I have photos of all this too. I walked right up to him, talked softly to him, and then got some great pictures. Here is one of them. Then I thanked him and left. When I got back to the van, the guys asked me if from now on, I would please at least leave the van keys behind when I did this sort of thing! Can you spot the bear in this picture? The bear in this picture I managed to capture! I got pictures of him all over Yosemite! I then brought him home and gave him to my son. 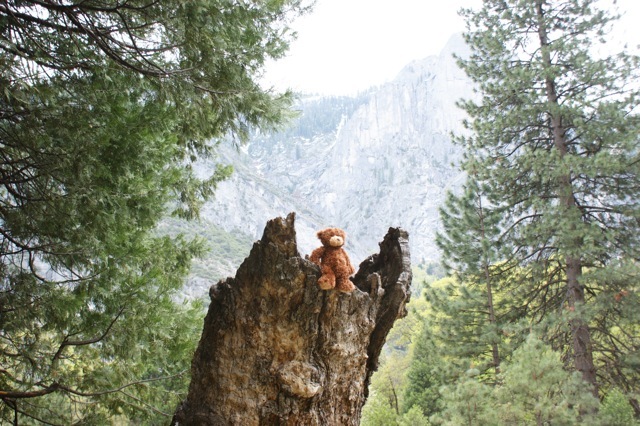 Not sure if the Yosemite Rangers would approve, but I wanted my son to have something from Yosmite – we named him Yobear. You can see all the pictures of Yobear in this Facebook Album. 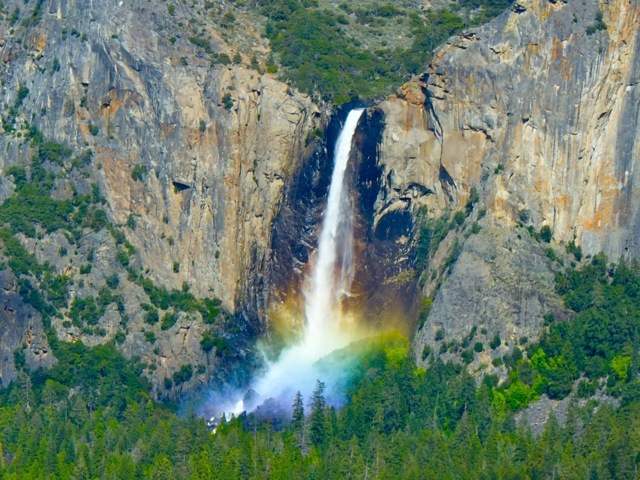 However, it was on the third full day that we began what would be the highlight of the trip for me, for we discovered what I believe is the GEM of Yosemite National Park. We had planned to go to Hech Hechy, but due to the impending storm – we had to choose something else. We considered several alternatives… but I settled on a hike I had read about and researched, one that many hikers claimed was the “best kept secret of Yosemite.” It was a risk to lead my group on something unproven, but since it promised few tourists, and our goal is solitude and worship, I decided it was worth the risk. BOY OH BOY! Did we hit the nature treasure chest! 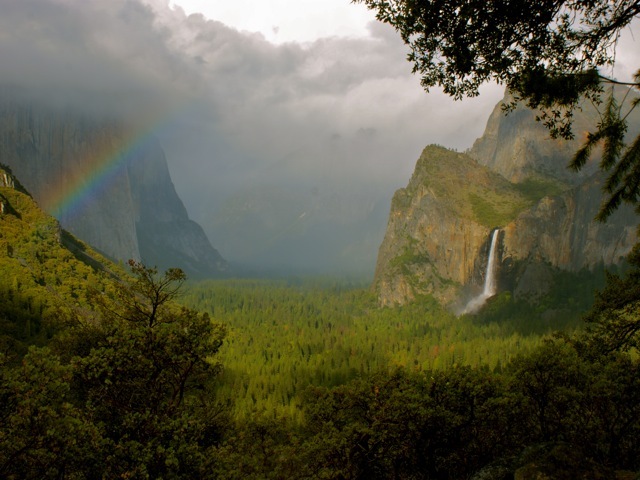 And I plan to help KEEP it the best kept secret of Yosemite! Therefore, I will not be posting the name of this hike or trail on this website. Don’t get me wrong. I am more than happy to share the name of the hike with anyone who asks me, I just don’t want to post it for random web surfers to save the trail for sincere hikers. But this trail is AMAZING! 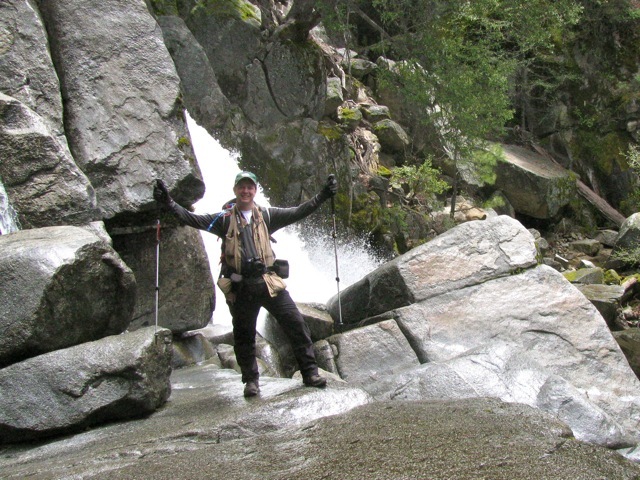 It is moderately easy to hike – has non-stop cascading waterfalls – beautiful scenery – wandering animals – beautiful landscape as far as the eyes can see – and no one else to share it with! And at the summit (which only two other Summiteers joined me at!) is the most wonderful, beautiful land of the lost of rivers and waterfalls and trees and… oh, boy. It’s indescribable. Let me just show you some pictures. Then at times we climbed stone stair cases like out of Lord of the Rings overlooking a valley to our left, it was incredible! It was just waterfall after waterfall, many you could walk right up to and put your hands right into them! 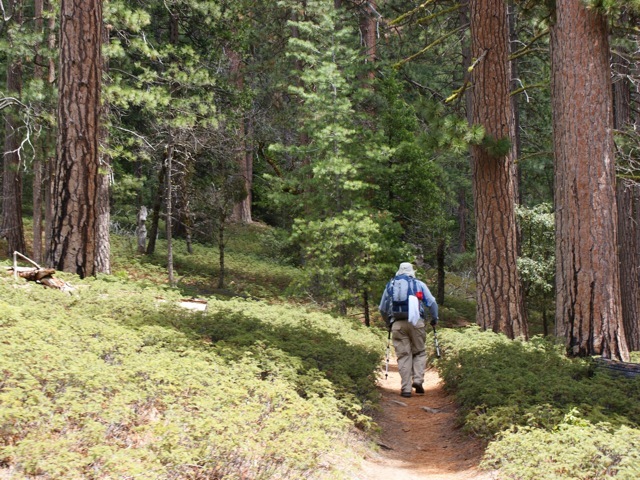 While the elevation gain was significant, the climb never felt steep, as the trail would wander off into the woods to make the ascent more gradual and moderate unlike the switch backs of the Yosemite Valley which can be brutal and steal from the enjoyment of hiking. 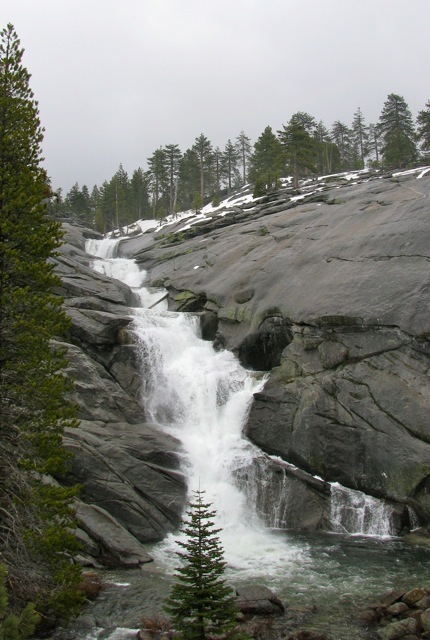 These waterfalls are more of a system of falls than merely one fall that an entire hike is built around. Just incredible! The trail is clear, and yet there are many places to wander off the trail to get a spectacular view of the surrounding countryside. 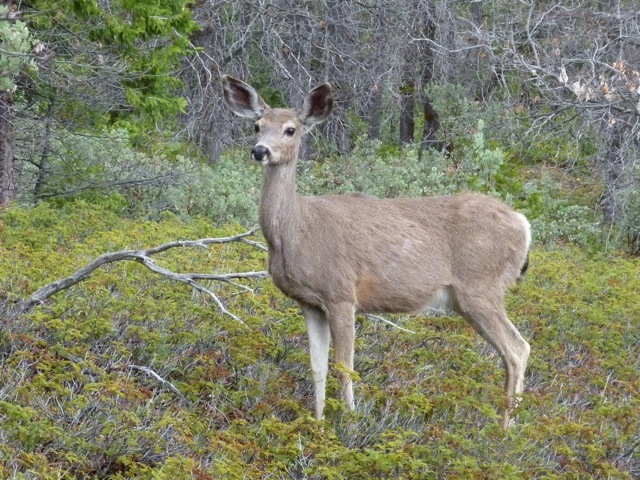 The wild life did not seem concerned at all to see us and simply stood still and looked at us as we took pictures and then walked by. The trail was simply beautiful and enjoyable and as I said, moderate and not nearly as difficult as many of the Valley trails. 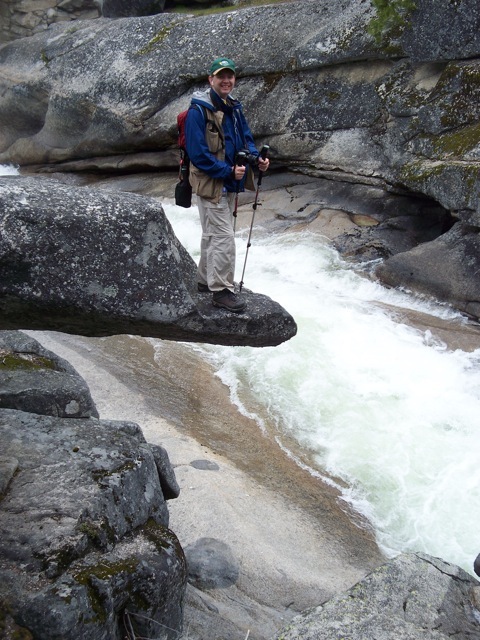 You can not see it here in this picture, but getting on to this rock, I was a little nervous, for the big rock was slick, and that river flows just a little ways and then drops a loooooong way to the valley below! We are at the very summit WAY up top of a huge mountain we hiked all day to arrive at. The day was overcast and it would be raining and hailing by the time we were hiking down. 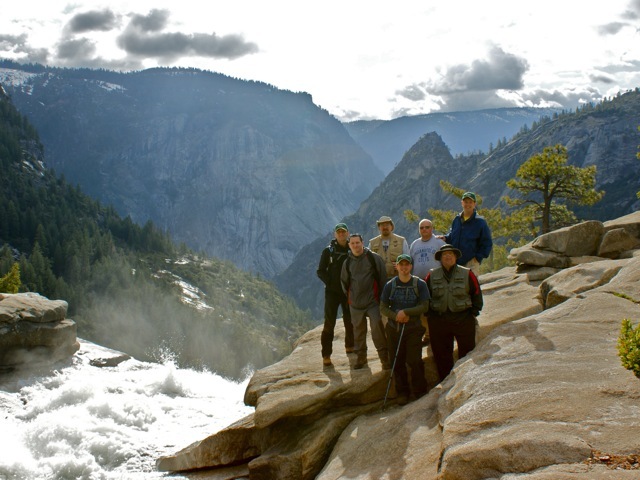 It was a bummer not to be able to stay up there longer – but to have discovered such an incredible place was an amazing GIFT from God to me, and to the Guys of Yosemite Summit 2011! As we will be leaving EARLY one morning, hiking up there, making a camp fire, cooking up hot dogs, and spending the day up there, and spending an incredible Day with God on this Summit! It was on the hike up to this Summit that God spoke to me about some things in some very clear and precise ways, and on the way down that that He and I did some business about some stuff we’ve been wrestling with. That is what Yosemite Summit is all about. It is about getting away to hear from God. It isn’t about hiking in the great outdoors. It isn’t about getting great pictures of God’s Creation. It isn’t even about great fellowship – though you get all of those – it is about getting away and hearing from God. 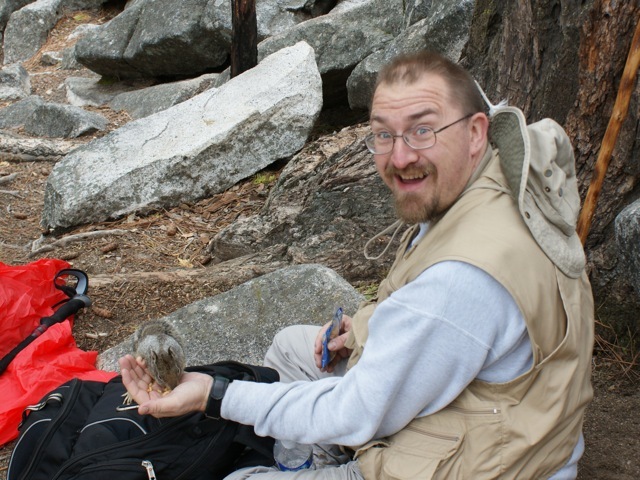 I hope you will consider joining me for Yosemite Summit 2011.